Do you want your house to be protected? For almost everyone, the answer is an absolute yes. A home is the livelihood of its owners. Residents live peacefully knowing that they are safe within their walls. It is important for just about any possible scenario. Whether you have highly valuable possessions, or you highly value yourself. Maybe its a little bit of both. The reasoning is justifiable in all kinds of circumstances. That’s why we want to make sure that the doors we provide go above and beyond the standards of security. In our blog post today we want to showcase the value of a door with good security. If you find yourself needing protection, we know just how to help. While the most common thought of why people need security is burglary, that’s only one of the multiple areas where you might need protection. A mere storm can cause incredible threats to your home, too. There can even be many dangerous diseases that can arise from doors whose interior are not rot resistant. Factors such as these can create huge problems for homeowners and they may not even realize it. 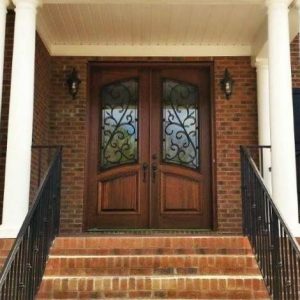 If your door does not have a rot-resistant core, or maybe they are susceptible to warping, then you should consider getting a door that can protect your house better. This is especially so if your door is not storm certified. A single powerful storm could cause lots of damage to the door and endanger the livelihood and financial condition of the residents. Of course, let us not forget the dangers of burglary. If your locks are not state of the art, or the door is thin and capable of being broken down, it can pose a serious threat to your safety. What Makes Our Doors Secure? First and foremost, we want to ensure that the safety of our customers is the number one focus. Each of our doors, whether they are front doors, back doors, patio doors — all of them have high-security measures. We make it a priority to create doors that are strong and reinforced with many precautions. 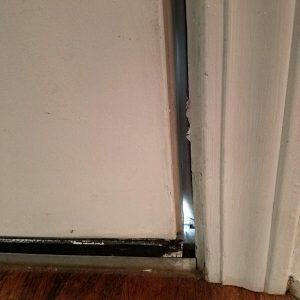 After all, the door is often the first line of defense for a house and if someone breaches it, the result can be detrimental. That’s why we take such close attention. 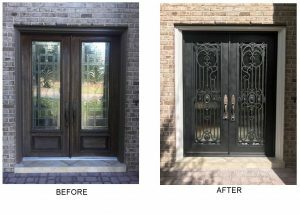 Each and every one of our doors at Southern Front is rot and warp resistant. They are all storm and wind certified as well. This is to ensure that the elements do not play a factor in your security. We want to take as many threats out of the picture as possible. We can even provide our customers with electronic locks which require key codes and special keys to open. This makes it very difficult for burglars to break in, and it gives homeowners more control in the level of security their home has. Contact Us Now To Get Our Most Secure Doors Available! It’s important to us that you feel protected by your door. That is, after all, the only true functional purpose of a door. Therefore we won’t stray away from core value doors provide, and instead, we will reinforce them.